With a long coastline, Chennaiites have the luxury of a sand track for their sporting activities, especially athletics. The sand track is the cheapest facility for many athletes, including the youth from fishermen communities, who can be seen practising on beach roads. The 210 playgrounds maintained by the Greater Chennai Corporation also facilitate daily practice for the potential athletes. But can we really provide the kind of infrastructure needed for athletes to compete and shine on the global arena ? Perhaps not. While the existing facilities are good for athletes in the early training phases, mastering the sport requires well-equipped indoor stadiums. Two such facilities do exist in Chennai — the Jawaharlal Nehru Stadium (also called ground A) and Multi Purpose Indoor Stadium (or Ground B), but both lack basic amenities such as good synthetic tracks, updated gym equipment and adequate lockers for the sports personnel. Athletes, who aim to shine in national and international competitions, are often found lamenting the lack of conducive and competitive infrastructure. Both the stadiums have a rich legacy, however. While international events such as World Volleyball Grand Prix Tournament, 1998 have been hosted in Nehru Stadium, Indoor stadium is famous for hosting TV shows, besides sporting events. Unfortunately, the priority of the latter establishment seems to have shifted in the recent past towards these private events, rather than facilitation of athletic practice. Not all athletes can get access to the indoor stadiums. Athletes have to battle many odds to practice in these facilities, maintained by the Sports Development Authority of Tamil Nadu (SDAT). Stadiums are open only to the players who have participated in state-level competitions and beyond, and upon payment of a fee. Those still to reach that level do not have permission. “A payment of Rs 250 for six months and a signature from a certified coach are mandatory for players above the district-level rank to practice in Nehru Stadium. 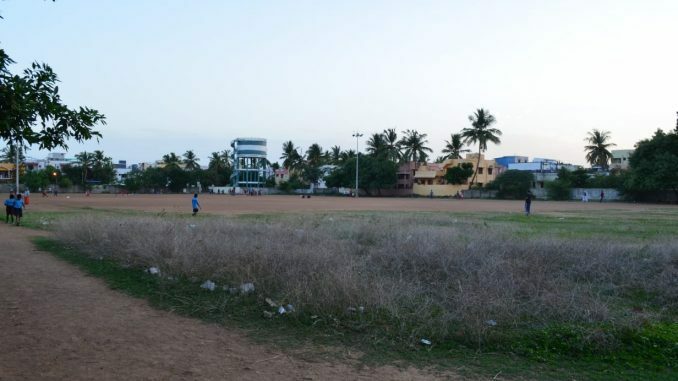 Though there are playgrounds and wide beach roads to practise on, indoor stadiums come in handy in the rainy season, which also happens to be the time when many national events are held,” said a member of the Tamil Nadu Athletic Association, seeking anonymity. The same rule, though with less payment, applies to Ground B.
Indoor stadiums are preferred for another reason: synthetic tracks that are better suited for professional practice. But forget top notch facilities, even something as basic as synthetic tracks are substandard in these stadiums, say athletes. 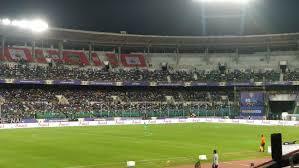 “The stretch between 250 to 310 metres at Nehru stadium has been battered after the recent ISL match. As the stadium hosts events regularly, tracks get damaged within a year or two after new ones have been laid. It is tough to practise in such tracks,” said Surendhar Jayakumar, a 25-year-old international medalist in the 110-metre Hurdles at the South Asian Games. Many athletes, including those from the Tamil Nadu Athlete Association, admitted that the Sports Development Authority of Tamil Nadu is not maintaining the stadium, resulting in its steady deterioration. “They don’t even water the tracks regularly,” rued an athlete, seeking anonymity. Some athletes pointed out that there were no beds for pole vault in these stadiums. “It is true that important amenities such as hurdles, cones, ladder, weight training equipment and dumbbells are present. But, physical infrastructure is not all. We don’t have an ice bath facility, which is so important for athletic training to heal muscle soreness,” notes Surendhar. Both the stadiums have no massage therapists on ground, for immediate relief of sprains and pulls. “You need to book a visit with the therapist at least three days in advance . We consult private therapists, as no player can wait with a sprain for that long,” he adds. Other drawbacks in both stadiums include the frequent renting of premises for events without any advance intimation to regular players. “From TV shows to sports day events of schools, not less than two events happen every week in the premises. It affects our practice and is a waste of our time,” felt Surendhar. This reporters’ efforts to reach out to the member secretary of the State Development Authority of Tamil Nadu was not fruitful. Unlike other departments, SDAT cannot complain of funds crunch, as money flows in through back-to-back events and franchises in the only two indoor stadiums. The Times of India reported that Chennaiyin FC — the Indian Super League’s football club in Chennai) — has alone paid Rs 6. 5 crore as rent to Nehru stadium over the past four years.